The Community of St. John Baptist was founded in England in 1852 by Canon Thomas Thelluson Carter and Harriet O'Brien Monsell, the widow of a clergyman. 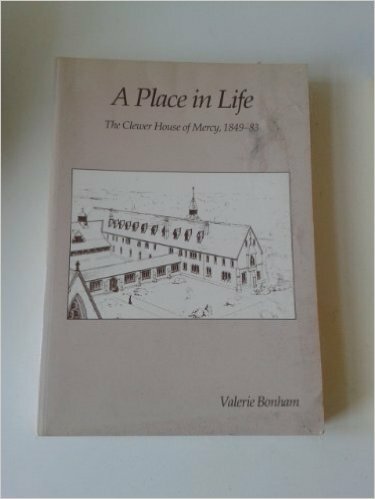 The Sisters' original work, the Clewer House of Mercy, took in "fallen women" - prostitutes and other destitute women from the streets, caring for them and teaching them skills to earn a living. Soon the Sisters were running orphanages, schools, convalescent hospitals, soup kitchens, homes for working girls, and a church needlework business. Important as the work was, it was not the center of the founders' vision. Canon Carter and Mother Harriet envisioned a blend of the active and contemplative life. The heart of the Community was, and is, the life of prayer. The Sisters' daily lives included Eucharist, the Divine Office throughout the day, and private prayer and meditation. ​Three years later, the Community built their first convent in New York City. From this base, the Sisters began work. They worked with immigrants through the Holy Cross Mission, with women from the streets through the Midnight Mission. Again they founded schools, convalescent hospitals, orphanages, and summer rest homes. ​​In 1900 the Community bought land in Mendham, New Jersey. In 1908 St. Marguerite's orphanage was built there, and a new convent followed in 1915. In 1929 St. John Baptist School moved from New York City to Mendham. Holy Cross House at the corner of 4th St. and Ave. C in New York City, where the CSJB Sisters ministered to the residents of the Lower East Side. Holy Cross Church, next to the House, was founded by the CSJB Sisters. Changes in society led the Community to shift its focus from large institutional works to a more flexible ministry. The orphanage became a retreat house. The school now houses Daytop, a teenage drug treatment center. As we closed the big works, the Sisters made the convent and grounds a place of spiritual retreat and renewal. Visitors come from all over to both the convent and the retreat house. The work changes, but the spirit of the Community continues to call people to "prepare the way of the Lord." 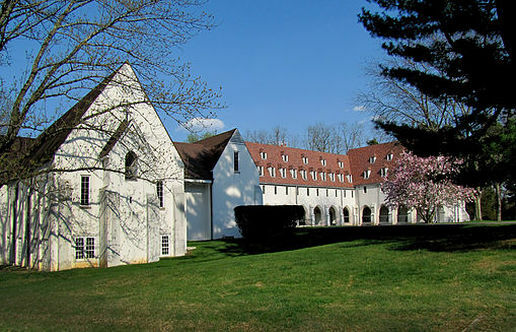 The CSJB Convent in Mendham, NJ, built in 1915. 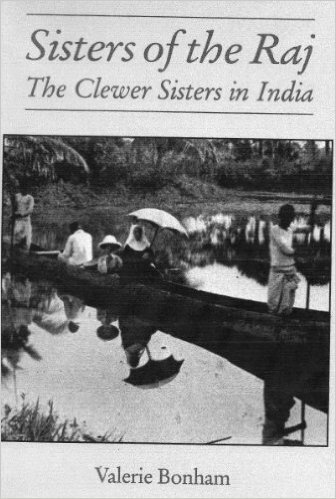 To order Valerie's other books on CSJB, A Place in Life: The Clewer House of Mercy 1849-83, and Sisters of the Raj: The Clewer Sisters in India please click on the images below or contact Sister Pamela.